This jewel consists of faceted oval SWAROVSKI cabochon that shines brilliantly. 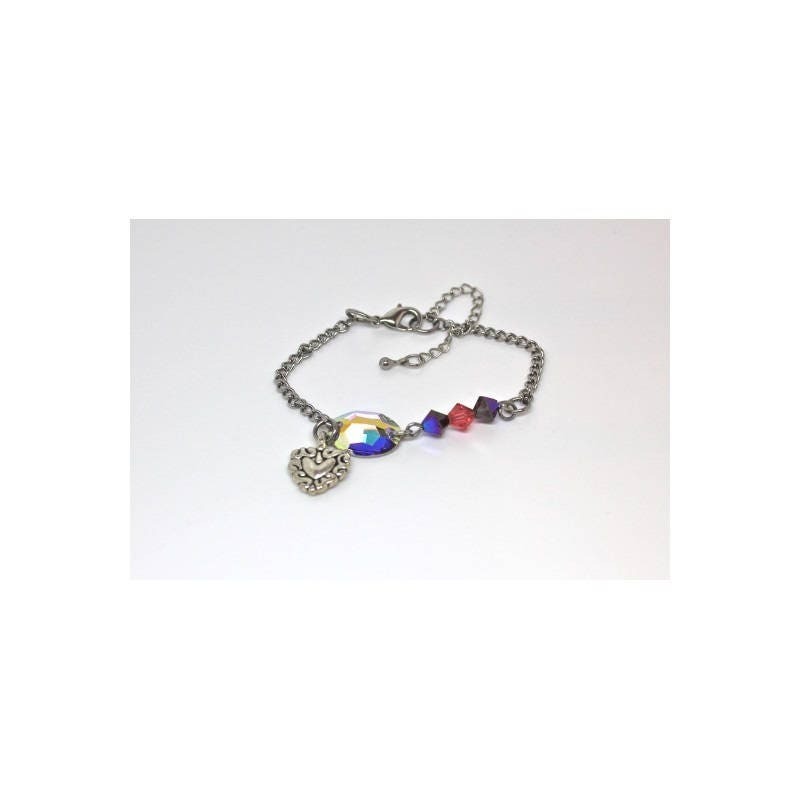 It comes with a pretty finely engraved antique silver heart and a trio of iridescent SWAROVSKI bicone beads. It has adjustable chain with its clasp and Extender chain (4 cm) this is a bracelet that you can maintain and keep long due to the nobility of the selected components and it is also a nice gift to all circumstances.